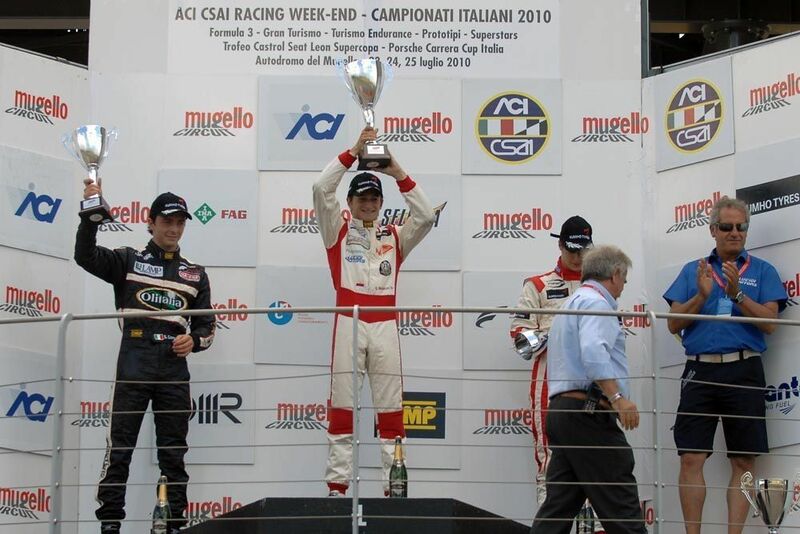 26/07/2010 - First one-two for team Lucidi Motors at Mugello, theatre of the fourth round of the Italian Formula 3 Championship. Qualifying on Saturday saw Sergio Campana finishing fourth (1'44.177), while Stephane Richelmi was sixth fastest (1'44.216). Fifteenth place for Gianmarco Raimondo instead(1'45.660), fourth of the rookies. Race one did not live particular twists as compared to starting positions and Richelmi closed fifth under the chequered flag, followed by Campana; fifteenth place confirmed for Raimondo instead. Race two, due also to the inversion of the first eighth of qualifying, welcomed the first one-two of the season for the team thanks to the victory by Richelmi, the third in this season, with Campana second. Raimondo finished seventeenth. In the classification, Richelmi is third at 75 points and remains in the title fight with just a ten points gap from the leader. Campana is seventh at 38, while Raimondo is third of the rookies at 75 points, 34 shy the leader. "As compared to the other top teams we did not run tests at Mugello with high temperatures therefore we did not have reliable data on the behaviour of Kumho tyres on this tarmac. This cost us something in qualifying and consequently in race one as well. Our drivers obtained a good one-two in the second race instead, while Raimondo was a bit stuck in the traffic". The Italian Formula 3 championship will be back on track next 29 August at Varano de' Melegari.